On the other hand, Carts in the Parc was something I felt more a part of. The moment I walked into the event, I was presented a NYWFF Carts in the Parc casino chip for voting. Carts in the Parc, you get check-plus for the to-the-point-voting-system, well done indeed. Now, here was the event I was looking forward to. For starters, several of the carts are vendors I like to frequent when I'm in town. 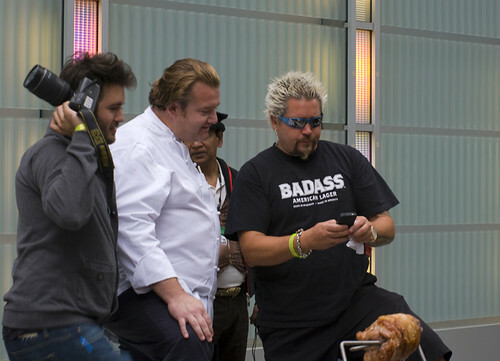 Add to the fact that they are all in one location, and it has quickly become recipe for a delicious time. And what a delicious time it was. 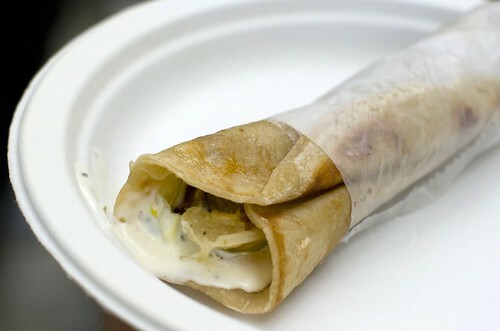 The lamb or chicken kati roll from Biryani Cart were easily two of my favorites. Perfect blend of savory and spicy. I'll say it, I got back in line a couple of times for this. Equally as savory and satisfying. 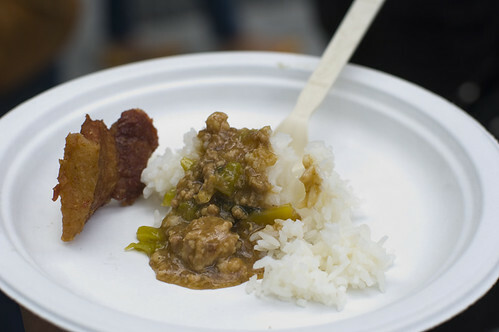 There's something about a crispy pork chop, over white rice with a Taiwanese pork gravy. I would have gone back for more, but Bian Dang had a long queue. With a dish that good, the line was understandable. I like spicy food and I am also a fan of good tacos. This spicy pork taco from El Rey de Sabor did not let me down. 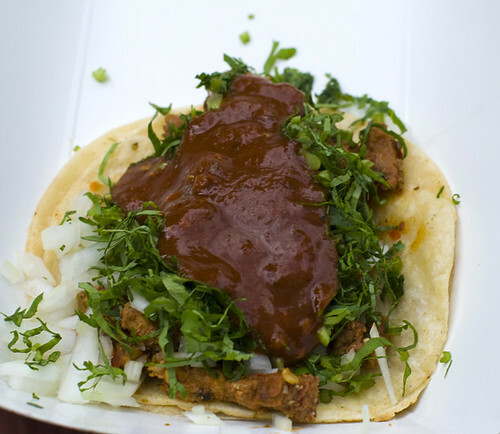 Spicy, bold and the only true way to have a taco; with cilantro and onions. A ginger curry shake was just what was needed after a spicy treat from El Rey Del Sabor. 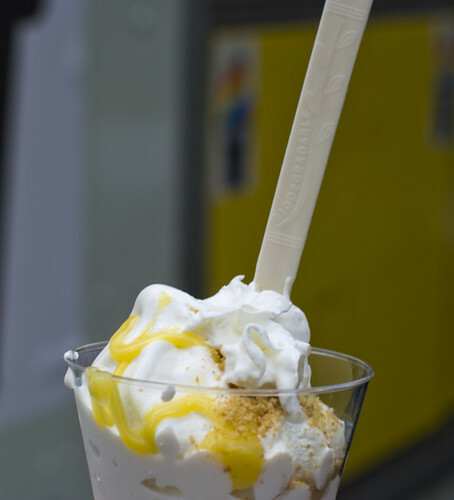 As it turned out, Big Gay Ice Cream Truck had just the shake I was looking for. Sweet, gingery and cooly delicious. After my third kati roll (or was it my fourth, it's all blurring together...) I thought the chip was going to go into the Biryani Cart fishbowl. 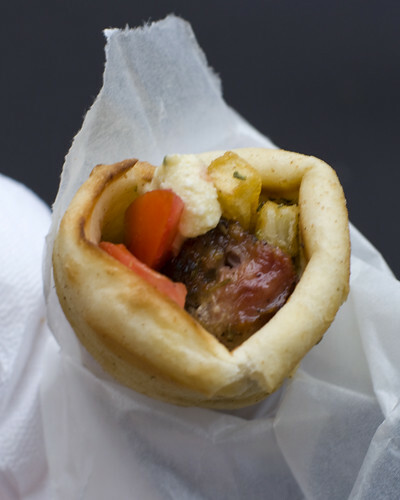 But then I had the souvlaki from Souvlaki GR. After one bite, my sentiments were something similar of Ken Griffey Jr.'s in that Simpson's episode. In my opinion Souvlaki GR delivered The Chosen One. Carts in the Parc was deliciously amazing, just about every dish I had was a winner in some way or another, and more importantly, what a way to wrap up the NYWFF. Once again, thank you Blondie and Brownie.